Your immune system is vast and complex. It is designed to detoxify your body as well as protect your body from illness and foreign invaders. Harmful bacteria, viruses, calcium-forming micro-organisms, and candida are part of our world. Unfortunately, so are toxic chemicals, including everything from pesticides to car pollution to nuclear radiation to most municipal tap waters. In our world, these harmful micro-organisms and the endless list of toxic chemicals assault our immune system consistently. Coupled with these assaults are the daily stresses of life and their deleterious effects upon us. All of these add up to a weakened immune system: colds and flus, coughs, fevers, chronic health problems, skin disorders, digestive distress, nervous conditions, chronic fatigue, and even cancer. When the body has too much to deal with, it stops being able to get rid of its waste efficiently and requires more support to help it fight off what is attacking it. Fortunately, our immune system can be improved and empowered to such a point that not only can the harmful microbes be halted and the chemicals detoxified, but also a “stress defense shield” may be built up that can even drive off the effects of daily stress. From my perspective it appears that a great thrust of research on health and longevity is pointing towards improving our immune system – that within an empowered immune system are the health solutions and longevity answers we’re looking for. We all can learn more about how to empower our own immunity. I believe the best way to activate genius within the immune system is by ingesting certain superherbs and superfoods, taking probiotics and cultured foods, minimizing toxic food exposure by eating pure organic raw-living foods, and making appropriate healthy lifestyle improvements. Reishi Mushroom: Reishi is Queen of the Medicinal Mushrooms. Reishi is the most well-studied herb in the history of the world. She has been the most revered herbal mushroom in Asia for over 2,000 years. The Daoists consider Reishi an “elixir of immortality” that is celebrated for its ability to significantly improve the functioning of the immune system by protecting us from the onslaught of viruses, bacteria, unwanted guests, pollution, chemicals, molds, and the toxicity that we are often subjected to in our world. Reishi helps build up our “stress defense shield” creating feelings of well-being within, in spite of outer stresses. Chaga Mushroom: Chaga is the King of the Medicinal Mushrooms. It contains the highest amounts of anti-tumor compounds of any herb. These compounds are in the form of betulin, betulinic acid, and lupeol, which are powerful anti-mutagenic compounds naturally present in the white part of the birch tree’s bark (in which the chaga typically grows). Chaga is also extremely high in nourishing phytochemicals, nutrients, and free-radical scavenging antioxidants, especially melanin. Chaga is second only to cacao (the chocolate nut) in antioxidant content. Chaga is the most powerful cancer-fighting herb known and fights all kinds of radiation damage to healthy tissue. Gynostemma: According to the scientific herbal research being conducted in the People’s Republic of China, gynostemma has been identified as the most medicinal of all the Chinese herbs. It contains 120 saponins (immune modulating molecules that are fat soluble on one side of the molecule and water soluble on the other side) – all of which possess specific, dual-directional health-giving properties (e.g. if our immune system is down, these saponins can modulate it up; if our immune system is too far up, they can modulate the immune response down). Gynostemma is a true tonic, you can take it or make tea out of it nearly every day with benefits that accrue the more you consume it. Gypenoside 49 (49th of the 120 saponins) has been identified as a telomerase activator that youthens us genetically. Ginseng: Known throughout the world for its amazing energy restoring and strength-building properties, ginseng is an adaptogen that helps our bodies “adapt” to stressful environmental conditions. Ginseng root can boost energy, induce mental alertness, improve the ratio of healthy hormones (thereby acting as a subtle aphrodisiac), and increase endurance. Ginseng also helps fight pain and alleviate radiation damage to healthy tissues. Chlorella: Chlorella is a natural, green, micro-algae, superfood detoxifier. Chlorella is the highest chlorophyll containing plant in the world with 40 times the chlorophyll content of the best wheatgrass juice known. The chlorophyll binds with heavy metals and chemical toxins, helping to eliminate them from the brain and nervous system. Chlorella is also a complete protein source that contains youthening and rejuvenating growth factors. Zeolites: Zeolites are a form of unique, volcanic mineral compounds with crystalline structures that form a sort of “cage.” This “cage” works like a magnet to attract heavy metals, chemicals, and other pollutants (e.g. radioactive isotopes), capturing them and allowing their easy removal (without being re-absorbed) from the body. Zeolites have been shown to have anti-viral and cancer-fighting effects. Astragalus Root: This chi-building root is one of the most potent immune tonics used to improve the lungs, strengthen muscles, increase metabolism, reduce stress, and strengthen the genetics. The first telomerase activator product to make it into the market is TA-65, an extract of astragalus. Camu Camu Berry: This plant-derived Vitamin C source will super boost your immune system and help repair connective tissue. Botanical vitamin C sources (such as Camu) are coming into favor in preference over synthetic ascorbic acid products due to their complete array of vitamin C enhancing bioflavonoids, copper, rutin, and other co-factors that make vitamin C work better. Camu Camu is one of the most concentrated supplies of Vitamin C in the world, and a powerful antioxidant. 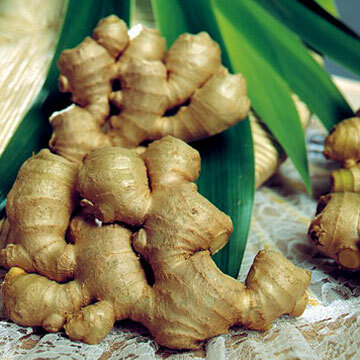 It is ranked by Dr. James Duke as one of the most powerful, single health-giving botanical substances. Dr. Duke is a world-famous botanist who worked for the USDA’s Agricultural Research Service for 30 years while developing one of the world’s most comprehensive Phytochemical and Ethnobotanical Databases. We live in a time of unprecedented abundance. Through the Internet and the advancing health freedoms we are all enjoying, we have easy access to these superfoods, superherbs, and super health products. When you start investigating and utilizing these substances consistently and regularly as part of your overall health and exercise program, you will notice that your immunity will step-by-step be enhanced. Your thoughts will have more clarity. Your overall energy will increase. You will also likely sleep better and perform better in athletic activities. Your overall productivity will improve. Digestive distress decreases. Feelings of well-being begin to dominate your life. Superfoods and tonic superherbs can be added into anyone’s diet. Simply begin with the first one or few that you’re drawn to and go from there. Get out a blender and have fun. Make different teas with the superherbs or create new smoothies with the superfoods. Better yet, take your superherb tea and blend it with your superfoods to make the best elixirs ever. Getting healthier and healthier is fun! In a simple direct way, these CDs open up the interface between physical, mental, and emotional energies, and how the health of each is dependent on the other in a physiological way. Dr. Kathleen emphasizes the important role of endorphins, our “natural high” hormones produced in the physical body—how we have a hundred endorphin receptor sites in each of our 10 trillion cells. Under development. Please see contact info for orders.